After years of watching Anthropologie have all the fun, Sephora is finally getting in on the niche/mass-market collab game. They’ve partnered up with Commes des Garcons and the very busy Pharrell Williams to create Girl, “a stylish wood-based fragrance for girls and boys that strikes an attractive balance of masculinity and femininity”. I loved the concept of a Commes des Garcons fragrance at Sephora prices, but admit to being a little nervous about the execution. I’m happy to report that Sephora got everything right, from the juice itself (a lavender and cedar blend as smooth as Pharrell’s ever-so-slightly autotuned vocals) to the adorably whimsical bottle and perfectly-priced 10 ml option. 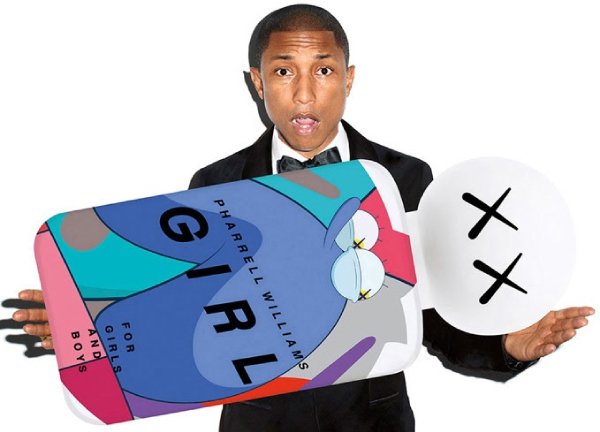 Much like Pharrell himself, Girl is pleasant and interesting without being overly challenging. It’s as unisex as its tagline suggests: the notes are traditionally masculine, but the cedar note is sweet enough to make most men think twice. Girl is unquestionably the best celebrity fragrance of the year, and a very good perfume by any standard. I like it much better than I thought I would from the notes list (which starts with my nemesis, orange blossom). In fact, I’ve been talking about Girl so much that Daisy bought me the 10 ml bottle just to shut me up. It’s earned a spot in my purse, and I find myself reaching for it most days. Oh yay! So glad to hear this went right! Are you doing Sniffa this year, Alyssa? If you are, I’ll bring some for you! I bought the 10 mL too – smart marketing. 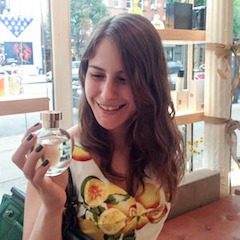 Someone at Sephora must read the perfumista blogs. Excellent thinking, hajusuuri! 😉 Sephora, if you’re listening in, I have three words for you: Tom Ford coffret. I’ve smelled it a couple of times at Sephora, and I think I must be sensitive to whatever they use for the violet leaf note because it’s super prominent on me, but nobody else seems to mention it. I get a lot of violet leaf and a raspy wood. I don’t smell orange blossom at all. My darling dear! I’m so glad that you have your Pharell Girl! It smells terrific on you and is so much more convenient in a purse than a big ol’ bottle from L’Artisan 🙂 So happy that you are happy! Fun scent, fun review! I agree: this collaboration was done perfectly. It’s a win-win situation. So glad you’ve been able to add Girl to your collection, thanks to D!